My house has a tin roof over a porch. The house is about one hundred years old, and the tin porch roof is original, as far as I know. My question is whether the tin roof (which is currently in good shape -- no rusting or leaks) will last indefinitely provided that I periodically apply layers of roofing tar to maintain it, or if tin roofs only last so long. Another way of asking this is: "Is roofing tar a temporary fix for tin roofs that need to be replaced, or will it keep the roof in serviceable shape indefinitely when applied properly?" I ask because a contractor is trying to convince me to hire him to replace the tin roof, but it's currently fine and has apparently been there for a long time, so it's not clear why I'd need to rip it out and install a new one. 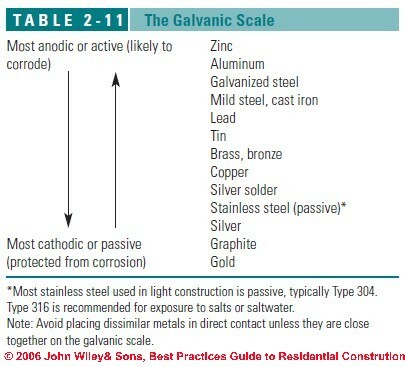 I guess you mean a galvanized or otherwise coated steel. Life depends on weather, specifically rain. In a desert it will last forever. If the current coating is repaired at any damage spots, it will last almost forever. "Repair" could be anything from dabbing on roofing tar to sandblasting and coating with a zinc-rich epoxy (typically used to protect industrial steel surfaces). Even conventional paints could be used - paint on cars and houses lasts pretty well. It depends on how you want it to look and how often you are willing to "touch it up". For industrial steel tank coatings (aka oil tank farms), touch-up is part of the maintenance program. The contractor is just trying to make money. Addition : There are also "aluminum" coatings commonly sold for mobile home roofs. These may sort of match your galvanized in appearance. Tin roofs are typically held down by nails, and over the years the nails loosen and leak. The new approach is to use nails or screws with an elastomeric rubber pad, and set their compression pressure carefully. I am super fond of roof screws of an appropriate size to not overlarge the old nail holes too badly, and a "speed wrench" with bit holder to drive them both quickly and precisely. These elastomeric rubber pads give out after 20-40 years and you need to replace the roof screws. Normally I prefer heavy prep when painting, but in this case you want only the lightest scuffing - you need to remove dirt, dust and contaminants but don't remove the weathered patina from the zinc! Paint won't stick to shiny metallic zinc, you need the patina to give the surface "tooth". 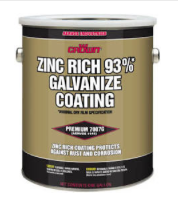 Then I use "cold galvanizing compound", zinc-based "paint" which is specifically for galvanized roof repairs. The paint is 90% zinc, and is HEAVY. I subdivide my gallons into 4 quarts so I can use the paint shaker without breaking it. You must frequently agitate your paint cup to keep the zinc in emulsion, as it wants to fall out. After about 6 months to a year, it will gain the same "patina" as old tin roof. 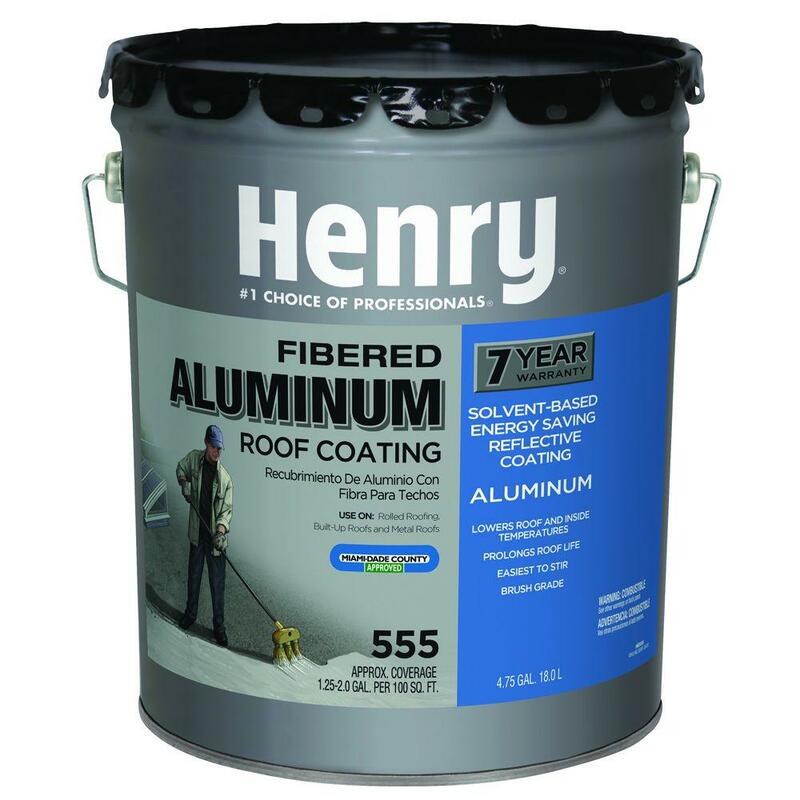 This stuff works direct on the metal, so if you do rust removal on a galvanized roof, you don't need another primer. Go ahead and tar a 3 inch by 3 inch square of your roof. I'm limiting it to 3" because I'm not that much of a sadist. Wait a year. Then buy a gallon of mineral spirits (don't use gas) and some nonmetallic scrapers and brushes, and remove the tar from the roof without wrecking the galvanized underneath. You will quickly (well, 20 minutes) reach the same conclusion I have: tar is non-removable in any sensible timeframe. Once you tar a roof, it will fail again - that's why you hear people talking about having to re-tar "annually". (what kind of lousy roof needs annual attention?) Heat/cold and drying out starts introducing cracks and gaps. At first, slathering on more tar fixes that. But after a few years, the tar is so thick and congealed; the gaps are too wide; it is peeling up too wholesale - no amount of additional tar will fix it. Now you need a new roof. Why not just remove the congealed tar? Tar is very sticky, and when the gooey fingernail-attacking, glove-ruining gunk is painstakingly removed, leaves a great deal of surface contamination that needs dozens of passes with mineral spirits. (don't use gas, or you'll forever have stink of gasoline additives wherever that roof leaks into). IME it takes about 2 hours per square foot, in my practical experience, oh, do I loathe that job. Several of our docents advocate tar on every roof. None of the are interested in the "excess tar removal" job. Funny, that. Most likely what you have is tin plated iron or some kind of galvanized metal. Please check with a historical roofing specialist before you do ANYTHING to your roof. Tar patching is generally for asphalt roofs only. People do put tar on other roof types, and they ruin them (especially slate). Keep in mind most (um, 99.9%) contractors haven't the faintest clue about historical materials and will cheerfully ruin them. Talk to a historical specialist. Copper is about the only roofing material that lasts indefinitely. I sit here under a tin roof (galvanised steel) that's 40years old in a semi-coastal location (next to an estuary, less than 1 km from the Pacific Ocean). The roof was painted with oil paint when new and has been repainted once since then and had a few nails replaced. The sheet roofing is light-weight tough and inexpensive. If you can prevent it from rusting it will last forever. If it fails it's relatively cheap to replace. I think roofs cannot last forever. The aspect I want to point out here is the galvanic corrosion, or marine corrosion. Galvanic corrosion of the more chemically active metal can occur whenever two metals that are connected by actually touching each other, are immersed in a conductive solution (any liquid that can transfer electricity). Anything but pure water is conductive. Saltwater, freshwater with high mineral content, and polluted freshwater are very conductive, and conductivity goes up with water temperature. Electrons flow from the anode (the metal that is more chemically active), to the cathode (the metal that is less chemically active). Anode's atoms become ions (an atom with one or more electrons either missing or added) and break away into the water. Your anode is literally dissolving through galvanic corrosion. Please notice where the tin is situated in this table. It is likely to corrode if in contact with nails made of copper or stainless steel. Corrosion can take place at the junction of roof to nails, or other metal components such as rain pipes. Of course, the key ingredient is humidity (needed to form a conductive solution); while roofing tar will keep your roof waterproof from the outside, it will not keep it safe from the humidity from withing the house. Steam from bathrooms can rise to the roof. Water can combine with the carbon dioxide found in the air, to form carbonic acid - a weak acid, but enough for electrical conductivity. So, as far as the nails are made from a different metal than the roof (which certainly is the case, because the roof is made of tin, while no nails can be made of tin), either your roof or the nails will corrode, depending which metal is more chemically stable. Again, in order for corrosion to take place, there must exist an electrical conductive solution. This solution can be water combined with atmospheric CO2, or different pollution compounds such as sulphur oxides and smoke. The source of the water can be even the condensation process - if condensation happens on windows, it can also happen on the inside part of a roof. The key aspect here is that corrosion can attack the tin from INSIDE the house, not necessarily from the outside. Not the answer you're looking for? Browse other questions tagged roof roofing or ask your own question. What are the pros/cons of Ondura for roofing? Can I make the contractor redo a roofing job because he didn't replace delaminated plywood? Are torch-on-roofs the best solution for a low pitched roof? Can you remove a tin roof and install insulation and re-attach the tin roof? What's the true longevity of exposed fastener metal roofs? What should I do about shingles that are stuck to the sheathing? Roof trusses left out in rain, are they still good? how do i take the rain away from 2 sloping roofs meeting in the middle?